Yahoo! Inc. (NASDAQ:YHOO) is going to be dragged down because of the same reason that got it to the current multiyear highs, namely Alibaba Group Holding Ltd (NYSE:BABA)’s IPO. On Bloomberg, Chief Operating Officer of Optionpit.com, Mark Sebastian revealed his thoughts on how he expects the volatility of Yahoo! 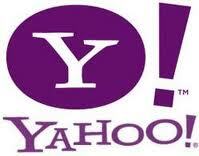 Inc. (NASDAQ:YHOO) to pan out during the world’s largest IPO. Sebastion gave a little idea of what Yahoo! Inc. (NASDAQ:YHOO)’s volatility has been for the past couple of weeks and it has been over the roof as traders have continued to buy all sorts of derivatives across the board. His outlook for the company is not very promising as he expects it to suffer because of Alibaba Group Holding Ltd (NYSE:BABA)’s IPO. He goes to the extent of drawing parallels with Facebook Inc (NASDAQ:FB)’s IPO. “[…] Right now it’s all about that Alibaba Group Holding Ltd (NYSE:BABA) IPO and I am looking at that thing and it just wreaks of Facebook Inc (NASDAQ:FB) IPO. I think that retail investors that go in and buy this thing as it goes public, really get burnt […],”said Sebastion. Sebastion continued to paint a gloomy picture for Yahoo! Inc. (NASDAQ:YHOO) in the near future as he identified the pitfalls of the much anticipated IPO. He said that Alibaba Group Holding Ltd (NYSE:BABA) does not have the supply problems which Tesla Motors Inc (NASDAQ:TSLA) or GoPro Inc (NASDAQ:GPRO) had during their IPOs, which means that there is little support in case of a free fall. In a hyped event like this when any random guy on the street wants to buy the newly listed company’s shares, it is a bad sign accorrding to Sebastion and a big ‘stay-away’. The chief operating officer said that he would only buy Alibaba Group Holding Ltd (NYSE:BABA) if it fell below $60.